Christie’s announce the auction of Lehman Brothers: Artwork and Ephemera which will take place at South Kensington on 29 September 2010 offering artworks and selected items of interest which once adorned the walls and offices of the British and European arms of the former banking powerhouse Lehman Brothers. 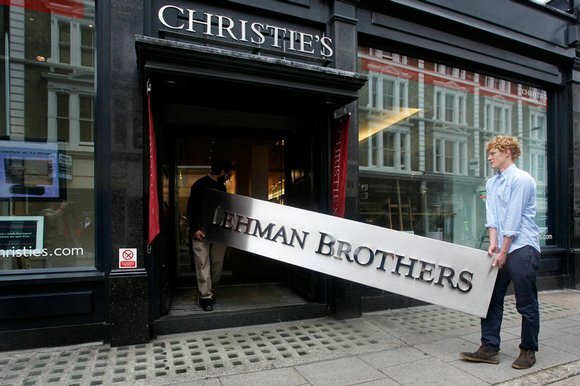 From the press release published in August 2010, under the direction of the administrators of the broke investment bank, once the fourth largest in the world, artefacts including the sign which had adorned the entrance to their offices in London’s Canary Wharf (image above) and also the contents of the art collection which included works by Gary Hume, Lucien Freud and the photograph, New York Mercantile Exchange 1991, by Andreas Gursky, were to be auctioned at market. The brothers Lehman collected artwork which adorned their offices since the 19th century. Over the subsequent years, of course, as the business expanded and the leadership changed, so did their corporate taste in art. We are excited to be working with Christies to offer the art collection owned by the companies in Administration. The auction date was selected to approximately coincide with the second anniversary of the Administrations. We think that there are many people around the world who would like to acquire some art with a Lehman connection, and we have therefore timed the sale to ensure that potential buyers can view and bid efficiently online. As with the Enron auction, some seven years ago, when we had bids from 43 countries, we expect internet bidding to be fast and furious – having the capacity to cope with a large volume of global bidding was one of the key reasons why we chose Christie’s. 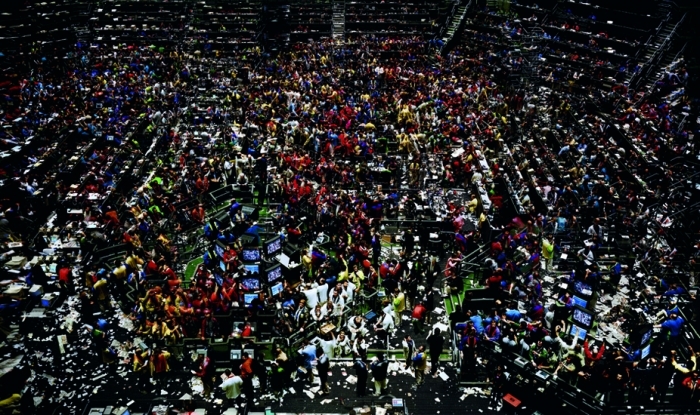 Recognised as one of the central pillars of the global market and subsequent architects of the global economic collapse, and mindful of the Gursky image, Lehman Brothers would appear to have been returned to the simultaneous site of its making and undoing. Unemployment is the vital question … Machinery should benefit mankind. It should not spell tragedy and throw it out of work. 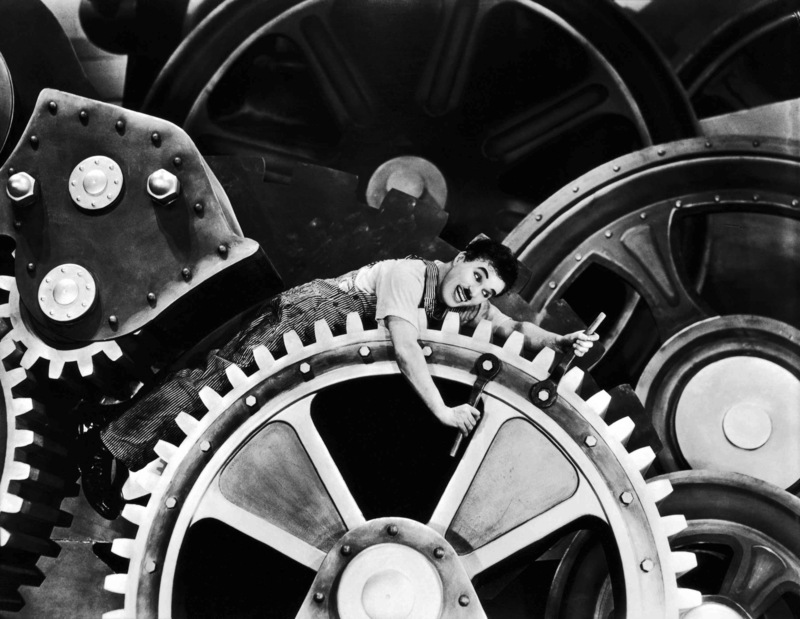 As part of the programme of the current exhibition, STRIKE!, at the Limerick City Gallery of Art, there will be a screening of MODERN TIMES (1936), written, scored and directed by Charlie Chaplin, at 2.00Pm on Monday, March 11th, 2013. This will be followed by a discussion from Mark Curran with specific reference to the visual representation of the conditions of labour and the resonance of Chaplin’s undertaking for the present. Further information regarding the exhibition and full details of this event, can be found here. 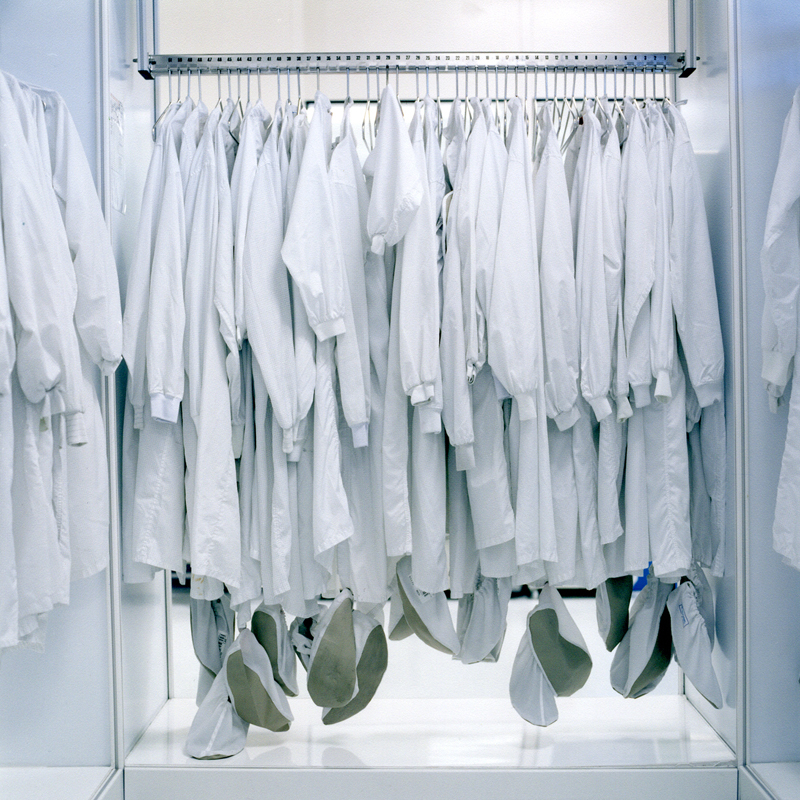 The theme of this edition is FACTORY: Mass Production in the city which founded the world’s first ever factory. The complete programme includes exhibitions by Brian Griffin, Polly Braden, Archive of Modern Conflict, Edward Burtynsky, Erik Kessels, Ien Teh, Simon Roberts, Alinka Echeverria, Martin Cregg, Darek Fortas, Rob Ball and Ken Grant amongst others. With a title inspired by a widely utilised economic management model responsive to the needs and demands of the global market, which is intended to be implemented not only on the factory floor but to extend to the nation state, The Breathing Factory, critically adddresses the role and representation of labour and global labour practices in Ireland’s newly industrialised landscape. In 2005, the Irish Republic was defined as the ‘most globalised economy in the world’ with full employment. In 2013, national unemployment is close to 15%, while for those under the age of 25, it is 28%. Global industrial practices are characterised by fleeting alliances; transient spaces as capital moves when and as required. In such an ephermeral and global context, and in the absence of significant audio and visual representation of labour and globalised industrial space regarding the Republic’s accelerated economic development, the project focuses upon the Hewlett-Packard Manufacturing and Technology Campus, part of a cluster formation of multinational technology complexes, in the east of Ireland. Following 9 months of negotiation regarding access and completed over a 20 month period, the work is the result of a practice-led doctoral research project incorporating ethnographic practices in its undertaking. The installation includes, photographs, text-base work, oral testimony, digital video projection, artefactual and sound archival material in its full presentation. 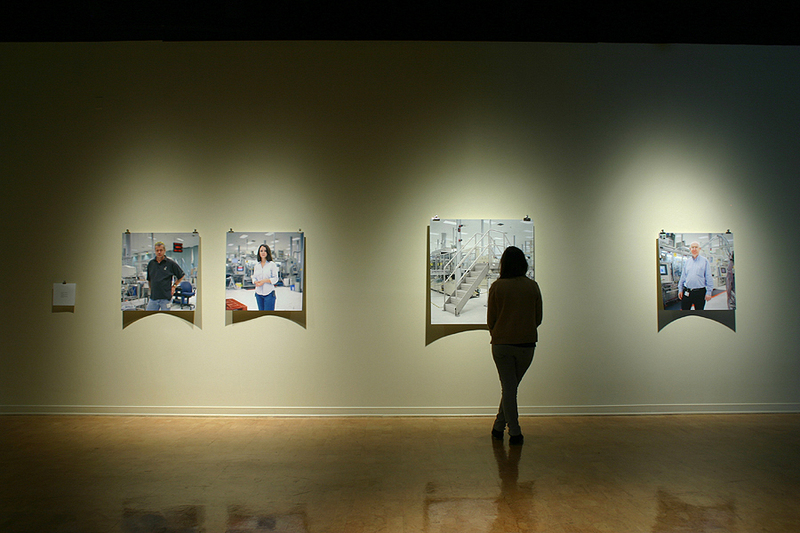 The Breathing Factory (2006) was published by Edition Braus, Heidelberg with the support of Belfast Exposed Photography, the Arts Council of Northern Ireland, Butler Gallery, Kilkenny and Gallery of Photography, Dublin. The installation has been generously supported by CULTURE IRELAND. In relation to The Breathing Factory, Curran will also present on re-presenting the conditions of labour in the global factory On the panel titled, The Worker: Towards the future, at the FORMAT 2013 conference being held at the University of Derby, on Friday, March 8th. The day-long event begins at 9.30AM, and is chaired by Paul Herrmann (Director, Redeye) and Heike Löwenstein (Course Leader, Photography, UCA Rochester). Further details can be found here. Installation of The Breathing Factory, FORMAT13, Derby, UK from Mark Curran on Vimeo. You are currently viewing the archives for March, 2013 at THEMARKET.